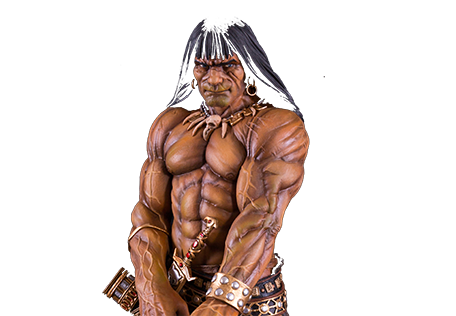 The star of the show was the fantastic Conan diorama sculpted by Arahom Radjah!! Conan the Sacrifice 1/4 scale statue. The most daring and audacious statue produced by ARH Studios to date! Hard to believe something so massive and amazing was turned into a collectible product that you now can have in your own living room!